Advocacy Update: Wins on She Who Borne The Battle, Cannabis For Vets, & More! 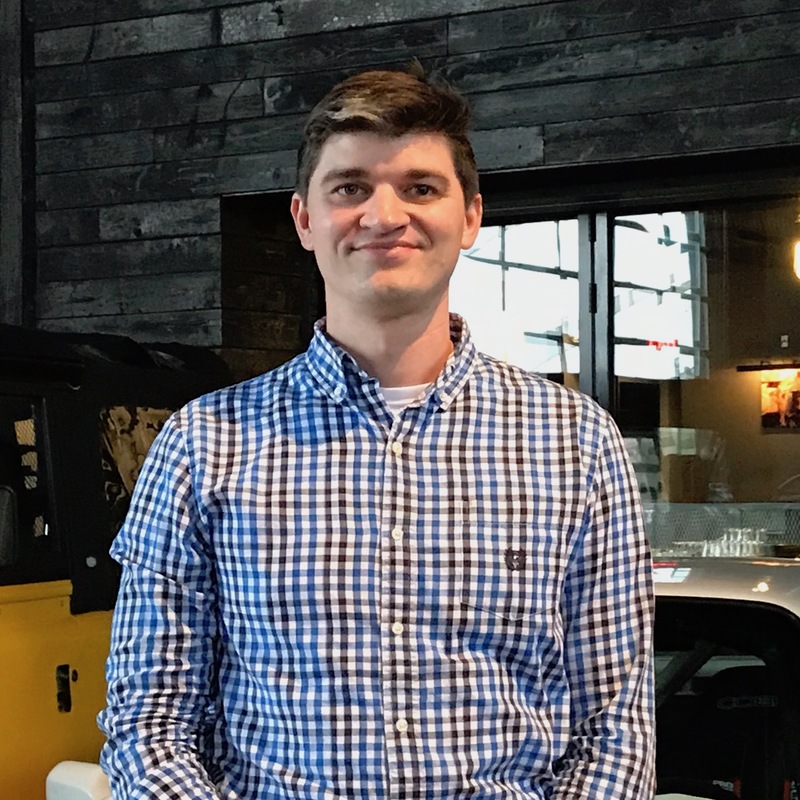 It was another big week in DC as Congress and the White House averted another shutdown, and the IAVA team remained busy building legislative victories. 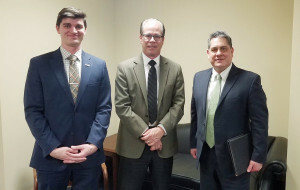 We attended hearings on Capitol Hill regarding sexual assault at the service academies, the new Deborah Sampson Act was introduced, and we’ve added 8 cosponsors on IAVA-backed legislation! 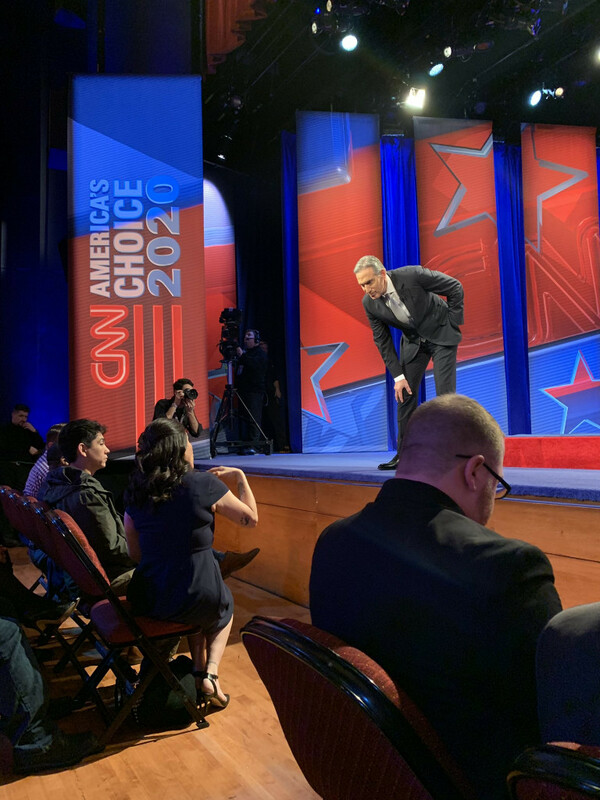 First up, IAVA CEO Jeremy Butler was in Houston with Texas IAVA members to attend the CNN Town Hall with presidential candidate Howard Schultz. While only one of our Big Six priorities – VA Reform – was discussed, IAVA looks forward to attending future town halls and debates with candidates of each party and ensuring that veterans issues are at the forefront of the conversation going forward. Check out Jeremy’s video before the event here, and stay tuned for future such events. The New York Times ran an article this week bringing additional attention to IAVA’s #BurnPits campaign. The article includes interviews from multiple sponsors of IAVA’s Burn Pits Accountability Act (S. 191/H.R. 663) in both chambers of Congress. Read the full article here. 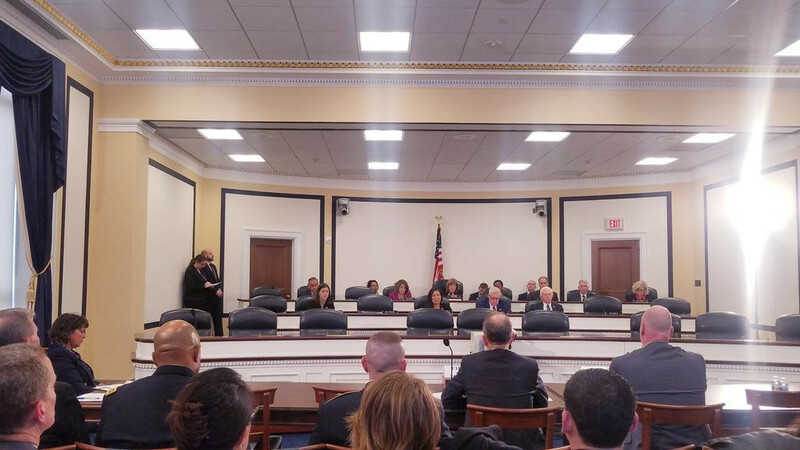 On Wednesday, the IAVA DC team attended a House Armed Services Committee hearing on the rising numbers of sexual assaults at the military service academies. It was an important hearing to highlight the problem and to discuss solutions. Protect Our Defenders President Don Christensen cited important data from IAVA’s latest Member Survey showing that survivors of sexual assault would be more likely to report to a trained prosecutor rather than to their commander. IAVA applauds Congress for taking this issue seriously and trying to find solutions. Watch the full hearing here. IAVA is happy to announce this week that the Deborah Sampson Act (S. 514) has been reintroduced for the 116th Congress! This is the centerpiece legislation of IAVA’s #SheWhoBorneTheBattle campaign. Thanks to Sens. Jon Tester (D-MT) and John Boozman (R-AR) along with our 25 additional original cosponsors for a strong reintroduction. Read the full release with a quote from Chief Policy Officer Melissa Bryant here. Stay tuned as IAVA also works towards introducing legislation across our Big Six priorities, including our number one issue: the Campaign to Combat Suicide. As many of you know, IAVA led the way in getting the Clay Hunt SAV Act passed into law in 2015, but the fight is far from over…and we’ll have news to share on that legislative front very soon. All throughout the week, the IAVA Legislative Director Tom Porter and Legislative Associate Travis Horr continued to meet with new Members of Congress to advocate for and gain cosponsors across all of our priority legislation. Come join Melissa, Tom, Travis and the rest of the team to advocate for our priorities on Capitol Hill by signing up for Storm the Hill! If you can’t make it in March, apply for Summer or Fall. Applications are evergreen and won’t expire. 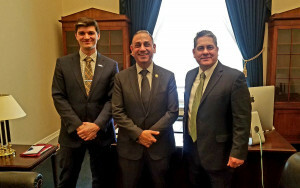 Below are pictures of Tom and Travis meeting with Navy veteran Rep. Gil Cisneros (D-CA) (left) and Sen. Mike Braun (R-IN) (right), both newly elected this past November. This week the Burn Pits Accountability Act (S. 191/H.R. 663) added an additional 5 cosponsors! Huge thanks to Sens. Cory Booker (D-NJ), Marsha Blackburn (R-TN) and Reps. Trent Kelly (R-MS), Paul Gosar (R-AZ), and Jamie Herrera Beutler (R-WA) for their support of this important and timely legislation. The VA Medicinal Cannabis Research Act (S. 179/H.R. 712) gained 3 new cosponsors this week! Thank you to Reps. Michael Waltz (R-FL), Peter Welch (D-VT), and Anthony Brindisi (D-NY) for their help in IAVA’s #CannabisForVets campaign. Don’t see your Member of Congress as cosponsor here and here? Contact them by going through our Take Action page. Or better yet, come Storm the Hill with us this year!